We&apos;re headed toward another beautiful autumn weekend in Hendricks County, and there are a ton of great ways to color your fall fantastic right here in our little slice of central Indiana. I recently offered some suggestions on how to experience a fun fall weekend getaway in Hendricks County during the weekend of Oct. 9-11, including the Indiana Short Film Festival in Danville, and now I have an additional idea for something to do with the whole family: Fall Harvest Days at Nehemiah Ranch in Avon. Nehemiah Ranch is tucked away in the northwestern corner of Avon and is one of the best-kept secrets in Hendricks County. I often run into locals who have never heard of Nehemiah Ranch. Visitors to our county are probably even less likely to know about this haven of peace and tranquility, so let&apos;s take a look at what they have to offer. Nehemiah Ranch is an unassuming not-for-profit 34-acre spread located at 1420 N. County Road 600 East in Avon that is named for a Biblical verse: Nehemiah 4:14. Not surprisingly, given its namesake, Nehemiah Ranch is a faith-based ranch that emphasizes and facilitates family time. Nearly everything they offer is free to the public, with donations and community service welcomed to help keep the place running. As you drive through the residential neighborhood on County Road 600 East, you may think I&apos;ve led you astray, but just south of County Road 150 North, on the west side of the road, you&apos;ll see a modest little sign for Nehemiah Ranch. You&apos;ll feel like you&apos;re pulling into someone&apos;s driveway, but you&apos;ll quickly be routed down a little gravel road to find parking in a large meadow. As you travel down the little gravel road, you&apos;ll suddenly be swallowed up by trees that are displaying their fall foliage. You immediately feel shielded from the stress and strain of everyday life by the trees as you enter the property -- a perfect setting for spending some quality time with the entire family. What Does Nehemiah Ranch Offer? There is a neat barn at Nehemiah Ranch that serves as the central gathering place there, and it is a perfect location for a wedding, a birthday party, a graduation party, a family gathering, a company outing or any other activity where you want to bring people together. Surrounding the barn is an open, flat area that is perfect for Scouting organizations and families to enjoy primitive camping. School field trips are an option at Nehemiah Ranch, as well as corporate retreats, youth outings, community service opportunities and anything else that involves individuals or groups enjoying the great outdoors. Nehemiah Ranch also offers its own events, such as a family unity walk in June, education about bees from a local beekeeper working with beehives on the property, work days and Fall Harvest Days. What is Fall Harvest Days? Fall Harvest Days is an annual event at Nehemiah Ranch that takes place on Oct. 10, 17 and 24 from 6 to 10 p.m. each night. 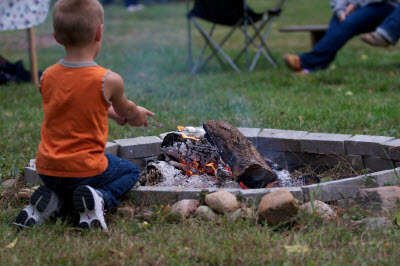 Bring the entire family out to the ranch for hayrides, a bonfire, hot dogs, s&apos;mores, live music and pumpkins for kids ages 12 and under out of the pumpkin patch right there on the property. And the cost? Brace yourself. 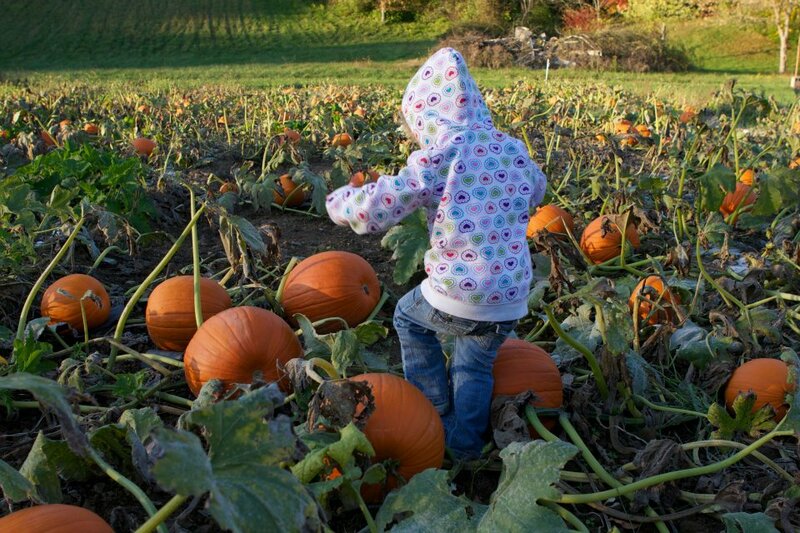 You&apos;re bringing the whole family out to a secluded 34-acre ranch for several hours of fun, food, and a pumpkin per kid. Plus you have to park. What price do you think that kind of experience is worth? It&apos;s worth far more than Nehemiah Ranch charges -- because they don&apos;t charge a dime for it all. That&apos;s right, Fall Harvest Days are FREE. So if you&apos;re getting married soon, looking for a spot for a corporate retreat, planning a birthday party or graduation party, looking for a camping site for your family or group, wondering where you can take your class for a school field trip, or just looking for something to do on a fall evening, Fall Harvest Days provides the perfect opportunity to check out Nehemiah Ranch in Avon!